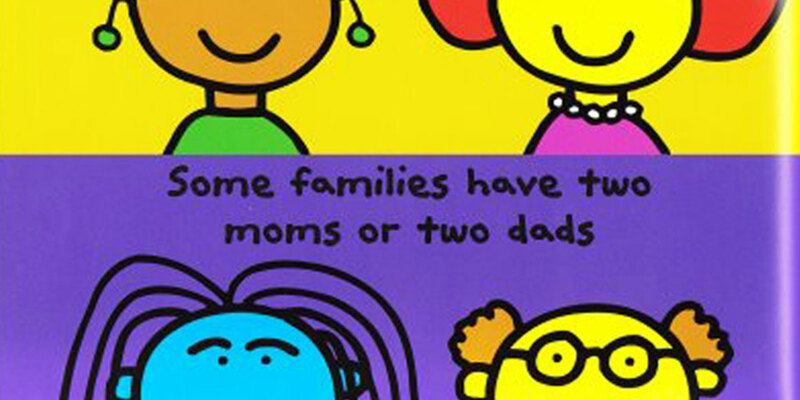 A few weeks ago the Erie, Illinois school board banned The Family Book, by Todd Parr, a children’s book about different families and how they are all centered on loving their children. The President of the School Board doesn’t think that the book is appropriate for students in his school district and lead the charge to ban the book. They also removed all materials form the Gay, Lesbian and Straight Education Network (GLSEN) including the Ready, Set, Respect lesson plans created in partnership with the National Association of Elementary School Principals and the National Association for the Education of Young Children. Banning these materials, which had been approved by a district-appointed group of parents, educators and community members, makes it clear that the school board is not interested in helping students. Instead they are interested only blocking students from the realities of the world they live in. Thankfully a number of organizations have stepped up to put pressure on the school board and Lambda Legal has offered to lead the legal strategy as all involved look at legal and ethical violations that took place in banning these materials. If you are looking to help get The Family Book back in school libraries you can sign this Change.org petition and talk to people you know in the district about what these materials do.